Can Having Air Ducts Cleaned Help Lessen Allergy Symptoms? Our homes can have a significant impact on our health. From the types of attic insulation we choose to the quality of our ductwork, the decisions we make regarding our homes should not be taken lightly. This is especially true for those people who suffer from allergies. Fortunately, cleaning air ducts can help increase the quality of the air in a home and help to lessen allergy symptoms. If you need further convincing, this article is going to discuss how cleaning your ducts can help with allergy symptoms. Duct cleaning can notably reduce airborne allergens within a home. When a home’s HVAC system is not properly cleaned and maintained, the residents’ health can begin to suffer. In fact, contaminants and pollutants, like dander and dust, are circulated through the HVAC system between five and seven times each day. As time goes on, this re-circulation of contaminants and pollutants can build up in the ductwork and can impact residents’ health. This can not only trigger health conditions in residents but can make it more difficult for those with allergies to manage their symptoms. Pollen is one of the main sources of seasonal allergies. When pollen gets into a home, it is, again, continuously circulated throughout the home. Whether it’s through the HVAC unit or from an open window, pollen inside a home can make it hard to avoid allergy symptoms and attacks. Having pollen inside a home can make it difficult for residents to have a safe place to be away from the pollen and other allergens outside. But with a quality seasonal duct cleaning, the pollen levels in a home can be removed and improve the comfort of the home for residents. 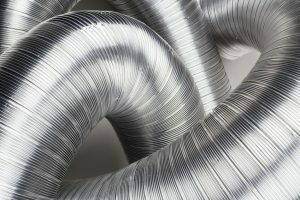 If ductwork goes long enough without being cleaned, it can become home to mold and other harmful bacteria. This is not only a problem for those with allergies, but for everyone living in the house. Moisture buildup in a home can make ductwork the perfect place for mold to begin to grow. If left unattended, mold and bacteria growth can cause severe health issues for those breathing in the air. As you can see, clean ductwork can offer many benefits to homeowners. While choosing between types of attic insulation can impact heat loss, choosing between clean or unmaintained ducts can impact your health. So do yourself a favor and schedule duct cleaning to make the upcoming allergy season more bearable. https://ductsquads.com/wp-content/uploads/2015/07/White-Duct-Squads-09-150px-height2.png 0 0 andwhat8371 https://ductsquads.com/wp-content/uploads/2015/07/White-Duct-Squads-09-150px-height2.png andwhat83712018-03-16 22:30:452018-03-16 22:30:45Can Having Air Ducts Cleaned Help Lessen Allergy Symptoms?